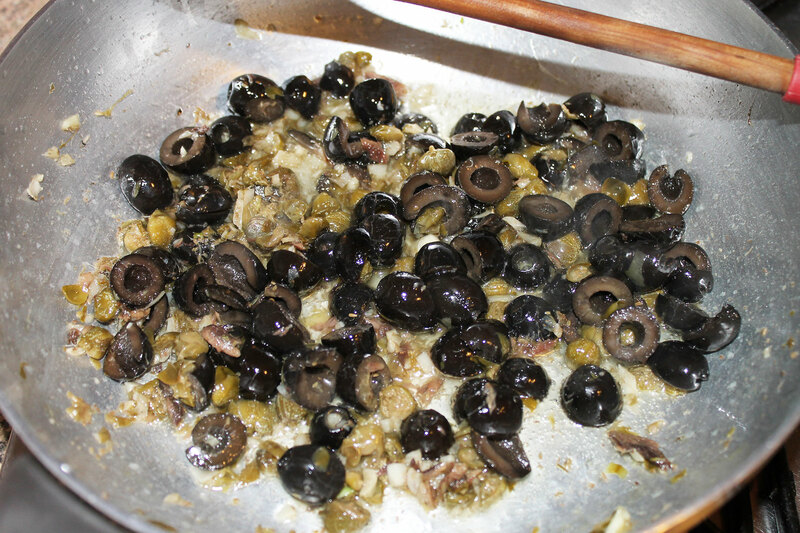 In a pan put some oil with chopped garlic and anchovies. 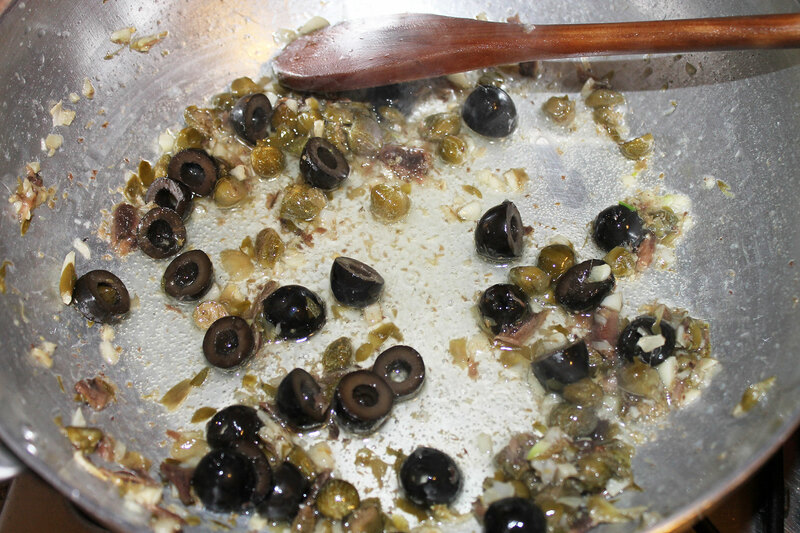 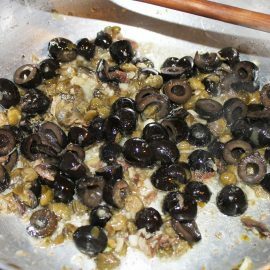 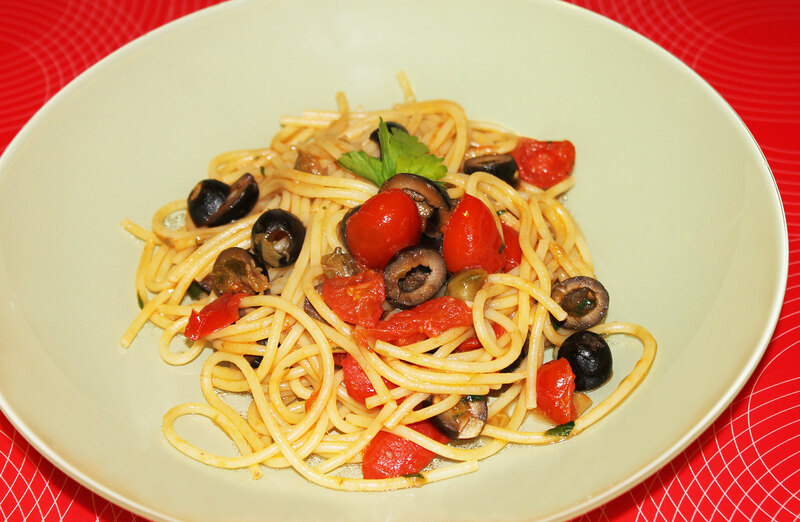 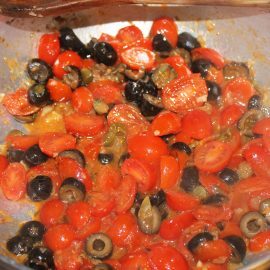 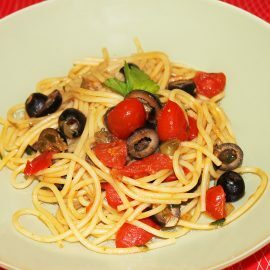 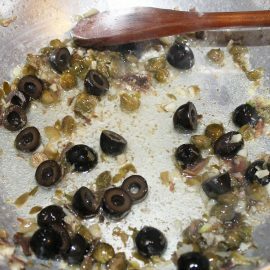 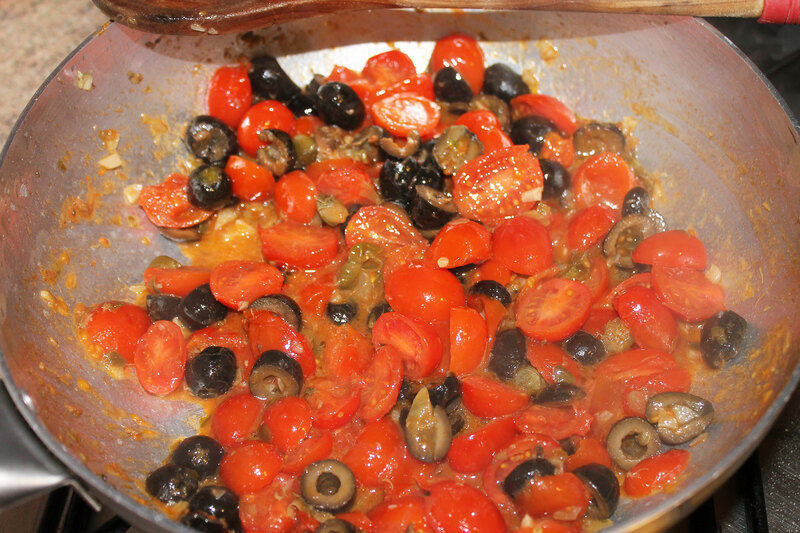 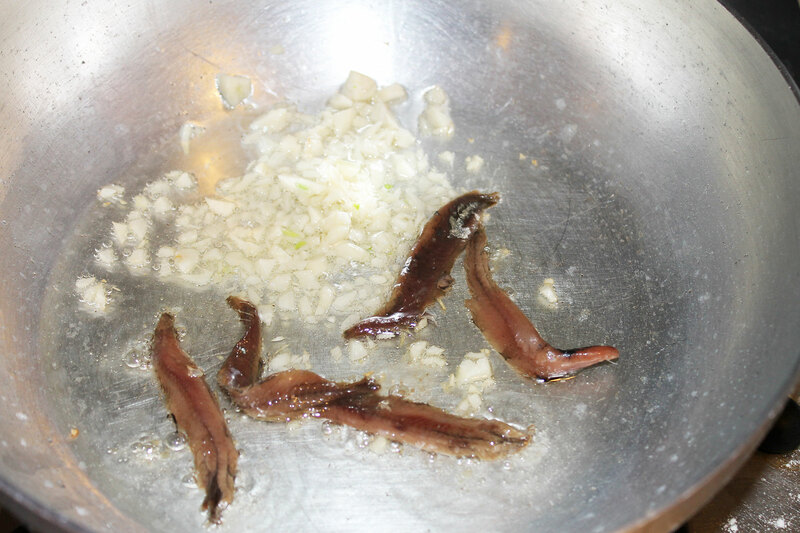 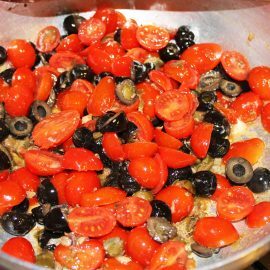 When the garlic has browned and the anchovies have melted add the olives pitted cut in half. 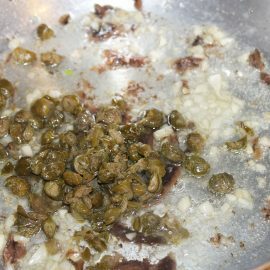 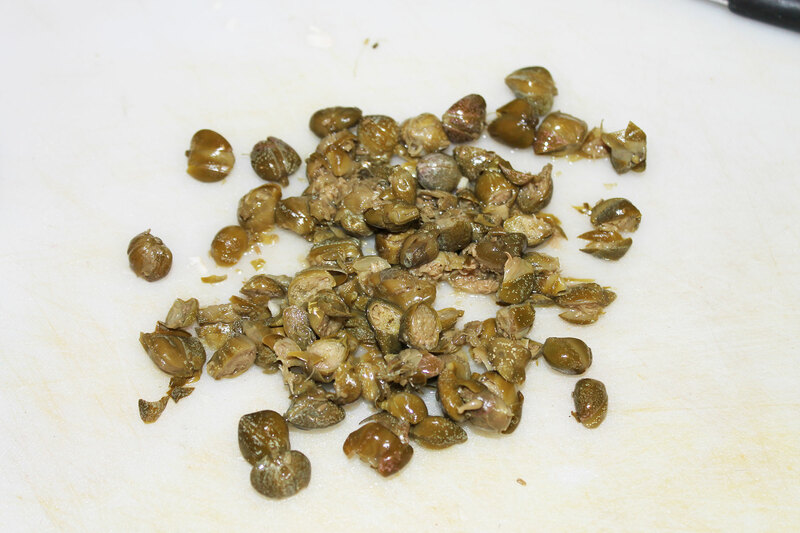 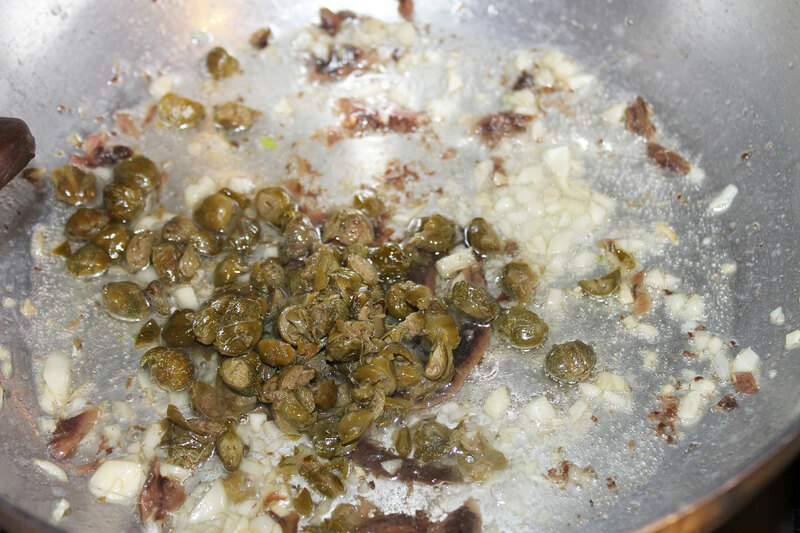 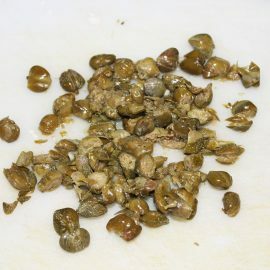 Add the chopped capers with the mezzaluna knife. 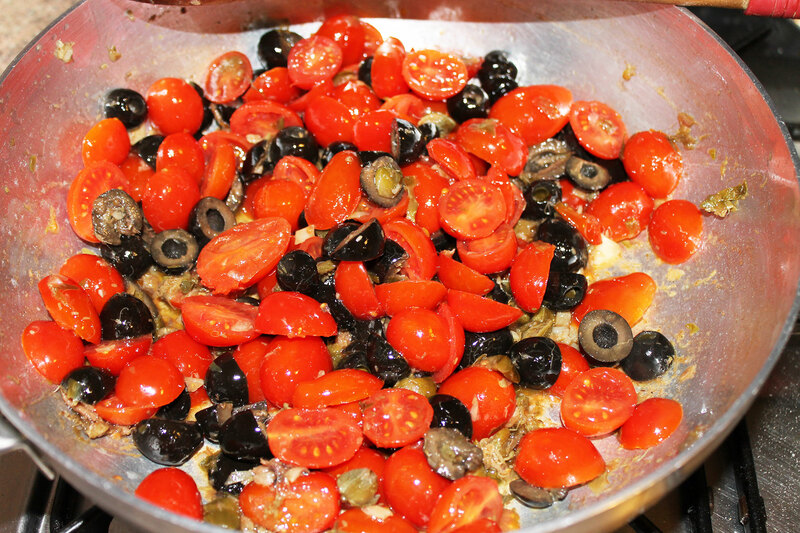 Put to cook spaghetti, and add the tomatoes to the pan. 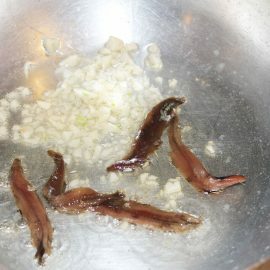 Cut in half those too big. 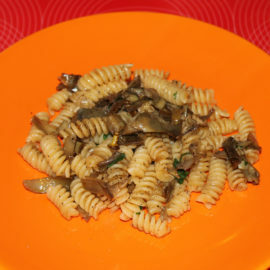 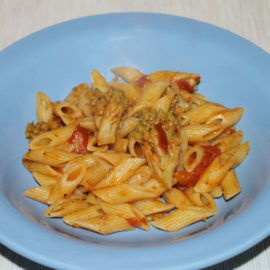 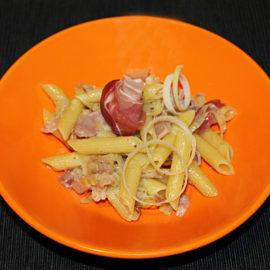 Drain the pasta “al dente” and pan fry all with the minced parsley.